Successfully Added 2.7 Inch Car DVR - GPS Logger, G-Sensor, 120 Degree Wide Angle, Motion Detection, 1080P to your Shopping Cart. 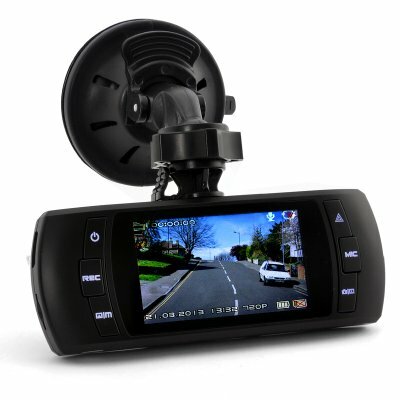 2.7 Inch Car DVR that includes GPS, G-Sensor, a 120 degree wide angle view lens, motion detection, as well as 1080P full HD video resolution is a great extra pair of eyes on the road. 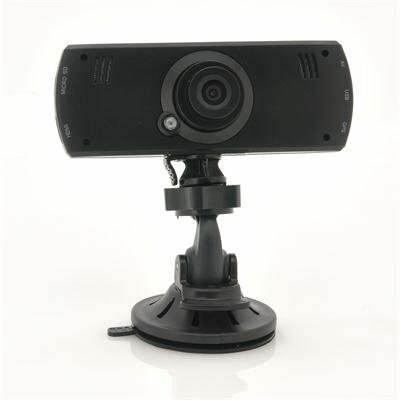 Primarily designed to be mounted on a car dashboard or windshield, this high quality HD video recorder with 2.7 inch LCD screen enables you to easily capture video of road situations. It comes with GPS logger therefore it records the precise location of the vehicle. 120 degree wide angle gives a better range of viewing when recording as more material is recorded. Since it is motion-activated, you know it won’t just be recording the inside of your garage while it’s parked at night, so you only get the footage of when the vehicle is being active. This compact car DVR even has G-sensor, so it measures the forces that act on it during changes in velocity. There are selectable video resolutions for the user to choose from such as 1080P with 30 frames per second. The system will automatically start recording when the car is started. There are different modes such as file cycle and file loop. Easy to install to the windshield using the versatile mount with suction cup, you’ll be able to able to begin recording instantly. Additionally you can take the car DVR dash cam right off the windshield after an accident and record the accident scene meaning you get both the accident footage and after accident footage all in one device. Also this car DVR has low level light sensitivity that is detected so when the lights go out it doesn't mean the car DVR is useless. The device can also be connected to the computer via USB. A simple and attractive design that looks stylish and modern, this 2.7 Inch Car DVR with multiple features and functions is the modern generation of digital video recording on your dashboard. This product is in stock and can be dispatched within 24 hours of ordering with a 12 month warranty. Brought to you by the leaders in wholesale electronics and Android mobile phones, Chinavasion. This camera has been amazing to use. I am amazed at the quality of the video it delivers. I can pause the video on my computer as a car is driving across an intersection and this camera is able to still frame it where I can see the perfect frame of the type of wheels the car has. That is it is able to take a still .. just amazing. The quality of the video gives my $1000 Panasonic video camera a run for its money. WHY CHINAVASION have you pulled this fantastic car DVR. H264 more video for the same size memory card. The software that is built in unfortunately tries hard but is not very good... I think it may have been written for a very old Window OS system.. win98 or ME perhaps. The menu's in the system takes some getting used to but with my home made written manual it would be a breeze. Cable location could have been better but is not really a problem. Suction mount worked perfectly. Only problem I had is the thread on the nut broke a little bit but still worked fine. Light weight, small, 5 mp lens for extreme clarity. Good audio pickup in cabin of vehicle. Haven't tried night time use yet. Seems well built. I noticed another reviewer mentioned the blinking red light while recording. Well, it CAN be turned off quite easily. When the camera starts recording the red light flashes. By simply pressing the "power" button one time quickly it turns off the red light and continues to record. Has built in GPS and G sensor as well as motion detection. There is also a section for taking photos. Not sure why anyone would want to take a photo with it but it's there if you want it. Also has an emergency or "crash" button you can manually press to lock the file from deletion. So far I think this is a great camera. Menu has several sections to it such as settings for the video quality and then another section for language and other items. Thing is it is difficult to get from one "section" to another without mistakenly turning off the camera. It takes a bit to figure it out since the manual is pretty much useless but once you do it works just fine. Delivery took almost a month going through Swiss Post. I highly suggest a different carrier! I've never waited more than 15 days from anything I've purchased from China in the past. The software doesn't seem to work with Windows 7 Premium 64 bit. It loads and runs but it will not play any of the video files. I can see the video files just by running them with a Windows media player but I do not get any of the GPS information! Hope there is a fix for this. What's great about this item is it's construction and video performance which is IMO, excellent. I've only seen day time video an it is really good, the lens is really a wide angle and quite sharp, one can read number plates, so the basics is covered very well. I don't like the front light and not having found a way to turn it off, I've covered it with tape. I don't like the cable positioning, they extrude from the right-hand side and are very distracting, it makes the unit take up more space unnecessarily ~ both of these are manufacturing designs, it makes it easier to get at your cables but harder to hide them away. The software is the biggest gripe with this unit. It won't resize or let other windows be on top, it places itself right in the middle and will span a two monitor setup, the GPS has me in the sea off my home port and I have no indication if the G-Sensor is working or not. One does not need the software to see the files, they play happily with Windows media player and most video editors. Seeing as I paid extra for the extra features and so far I find they are not working, the cheaper model with equally good video but no GPS or G-Sensor and less wiring would probably be a better choice. However, I will reiterate that the core elements of this device are fantastic, a good lens, great video, nice construction.